The “Brauhaus” is a German institution and they’re known for tasty, hearty meals served alongside locally or on site brewed beer. 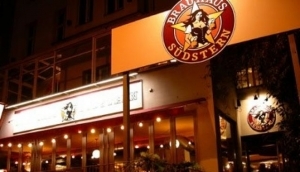 Berlin has a number of great Brauhäuser serving everything from classic Schnitzel to the local delicacy, “Eisbein”. You’ll find the best of Berlin’s gastro pubs residing around Prenzlauer Berg, Mitte, Kreuzberg and Charlottenburg, with a mix of German, Mediterranean, Russian, Portuguese and modern European cuisine served along side local and international beers including Pilsner, Weissbier, Dunklebier and many more. If it's authentic German food you are after, My Destination have you covered with our comprensive guide to the cities best German cuisine.